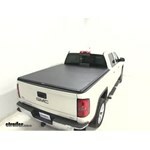 Truxedo has a selection of high quality tonneau covers that are custom fit for your truck. 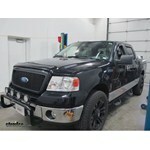 They can be installed quickly to improve your gas mileage and give your truck a sleek, stylish look. 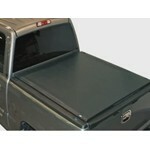 If you have a Truxedo tonneau cover, a toolbox that is made to fit with it is the perfect accessory. These custom toolboxes offer a lot of room and are lockable to keep your tools safe. 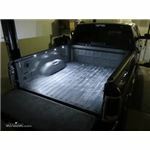 Universal truck bed lights are the essential accessories for your truck bed. 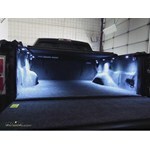 Bright and easy-to-install, these lights are mounted beneath your truck bed rails so they are protected from loose cargo. 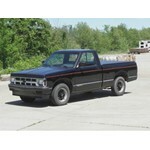 Truxedo's cargo anchors are also good accessories for a Truxedo tonneau cover. You can trust these steel anchors to keep your cargo secured. 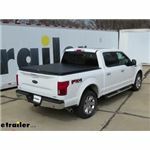 Since 2000, TruXedo has been an industry leader in tonneau covers that emphasize style, quality, durability and functionality. 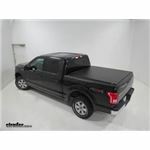 TruXedo has achieved their status as the first choice in tonneau covers by using only top-quality materials and having the best warranties around. 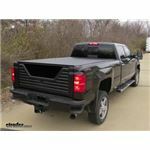 The TruXedo Truck Luggage SaddleBag Rail Mounted Storage Box # TX1705213 can install on either the passenger or driver side of the truck bed. It will just be either in front of the wheel well on one side and behind it on the other. I spoke with my Truxedo representative, who tells me that they do not offer a replacement velcro brand strip that measures one inch wide. 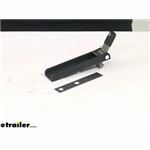 They do offer a strip that is meant for a long bed truck, part # TX1115173 that measures 96 inches long by 1-1/4 inches wide that could be trimmed to length if necessary. 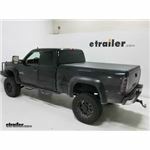 Unfortunately we don't have photo of the TruXedo TruXport Clamp Kit for Toyota Tundra with Factory Track System # TX1703926, but I was able to confirm that the TruXedo TruXport Soft, Roll-Up Tonneau Cover # TX273901 confirmed to fit your 2015 Toyota Tundra (with 5.5 foot bed and deck rail system) uses these manufacturer specific clamps. 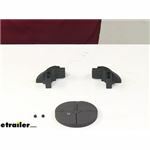 This is a confirmed fit as an exact replacement part for both the 5-1/2 foot bed and the 8 foot bed with deck rail system for your 2015 model year. 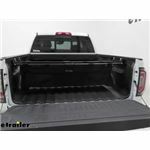 The TruXedo TonneauMate Truck Bed Toolbox Crossover Style # TX1117416 is perfect for any truck owner with a tonneau cover. 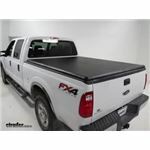 The toolbox fits under tonneau cover, mounts at the front, back or middle of the bed, and is elevated for full access to the truck bed floor. The dimensions are 55.38" long x 22.25" wide x 14.75" deep. 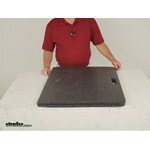 I was unable to find a transfer tank tool box combo under 18 inches tall. 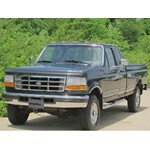 All the combos that fit your 2015 Ford F-350 Super Duty are taller than what you want. 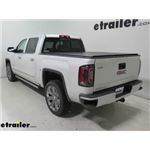 The Cargo Management System is an option that GM offers for their trucks that includes tie-down rails installed on the walls of the truck bed to help secure cargo. 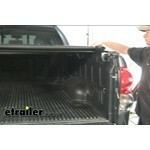 If you are not familiar with the Cargo Management System, then it is likely that you do not have it on your truck. 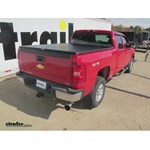 The Truxedo Tonneau Covers # TX270601 that you referenced would work on your 2013 Chevy Silverado whether or not you have the cargo management system. 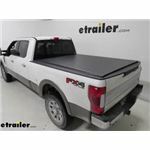 I contacted the manufacturer and confirmed that the TruXedo TruXport Soft, Roll-Up Tonneau Cover, Item # TX279101, will fit your 2018 Ford F-350 Super Duty truck with a 6-3/4 foot bed. 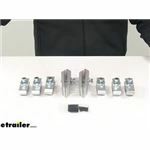 It is compatible with 2017 and 2018 models and has a convenient clamp-on installation that can be completed in minutes. 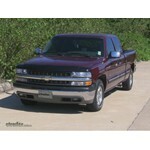 It has a smooth aerodynamic design and is made in the USA. I have attached a video for you to check out. I went out to our warehouse and measured the Truxedo Shur-Bond hook and loop fastener, # TX1115174, for you. 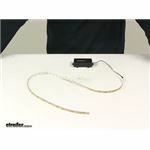 It has a strip of plastic that slides into a track and is 80 inches long by 1-5/16 inches wide. The velcro portion of the strip is 1 inch wide. My contact informed me that they no longer carry and hook and loop fasteners with adhesive backing. 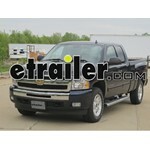 Both TruXedo latches, # TX1704213 and # TX1117424, are designed to fit the TruXedo Lo Pro Tonneau Cover. 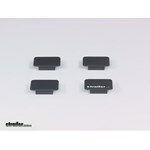 The difference is # TX1117424 is the complete kit that includes the spring. My contact at TruXedo told me that # TX1117424 is the recommended replacement latch to use when replacing on your tonneau cover system. 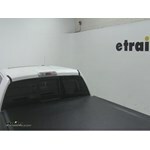 The mounting system of the Tonneau cover you referenced is not compatible with the Utili-Trak system on your Frontier. We do offer covers that will work for you. 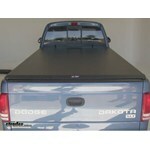 For a 5 foot bed, the Access Lorado Roll Up Tonneau Cover, part # 834532006830 would be ideal. For a 6 foot bed, part # 834532006885 would work. 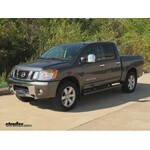 If your Frontier has the sliding bed extender, an adapter kit, part # 834532006946 would be needed. 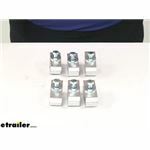 Yes, you will need Replacement Tension Control for Truxedo Lo Pro Covers part # TX1702992. 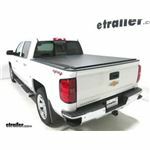 The TruXedo TruXport tonneau cover # TX246601 does not have the same latching mechanism at the front of the truck bed as it does at the rear. The fabric is integrated into the front header and you would not be able to easily remove it. I have linked a video review of this cover for you. On the underside of the cover you may find a tag or a number actually printed on the bottom of the cover. 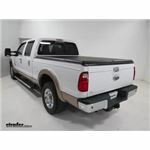 But if you know the model of the TruXedo cover then I can figure out which replacement cover you will need for your 2008 Ford F-150 with 5-1/2 foot bed. If you have the TruXport # TX277601 the replacement is # TX2776-CVR If you have the Edge # TX877601 I would have to have the cover added after speaking with TruXedo If you have a different bed length let me know. 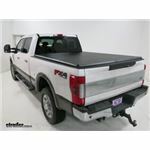 The TruXedo Lo Pro QT soft tonneau cover that fits your non-stepside 2004 Ford F-150 with 6-1/2-foot bed is part # TX578101. 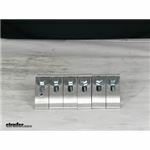 For this system the replacement vinyl cover is part # TX1117655 which installs using your original Lo Pro QT mounting hardware and rails. 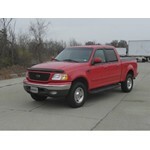 For reference I have also linked you to our main page for all accessories for your 2004 Ford F-150. 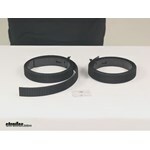 I went to our warehouse and took a look at the Replacement Header Seal for TruXedo Lo Pro QT, part # TX1704787. You will need to remove the seal you currently have by removing the plug on the end of the header. You may need to use something like a screwdriver and a rubber mallet to gently tap the seal at an angle to remove it. Then just simply slide the replacement seal in the groove and replace the end cap and you should be good to go. You assume correctly. 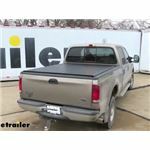 The # TX5806-COVER replacement cover for the Truxedo Lo Pro QT Soft Roll-Up Tonneau Cover does include the loop portion of the Velcro fastener. It's stitched to the cover. 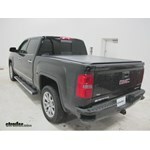 Thank you for providing the details about your 2010 GMC Sierra's TruXedo Lo Pro tonneau cover. 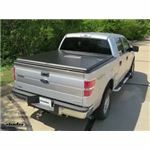 According to my contact at TruXedo the correct replacement vinyl cover for the Lo Pro QT tonneau cover system is part # TX1117930. 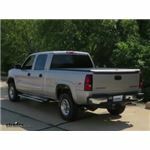 Replacement cover # TX5638-CVR is designed to fit TruXedo Lo Pro QT cover # TX563801 which does fit the 2008 Toyota Tundra with a 5-1/2 foot bed and with the factory deck rail system. If you have a different bed length and/or do not have the deck rail system let me know. 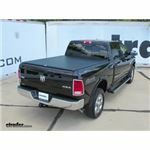 The correct replacement tarp for the TruXedo Lo Pro QT Soft Roll-up Tonneau Cover part # TX544901 that you have on your 2009 Dodge Ram 1500 5-1/2' bed with RamBox is the Replacement Cover for TruXedo Lo Pro QT Soft, Roll-up Tonneau Cover part # TX5449-CVR. 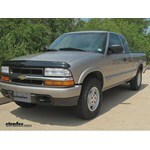 The correct replacement Velcro for a Truxedo Lo Pro QT tonneau is the part # TX1115174. 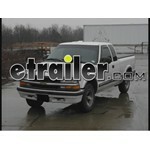 This strip is 1-5/16 inches wide and could be trimmed to length to fit your truck. 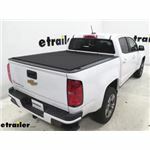 The Replacement Cover you mentioned, part # TX539801-CVR is the replacement fabric cover for the Truxedo Lo Pro QT Soft Roll-Up tonneau cover, part # TX871101, which is compatible with a 2006 Chevy Colorado with the 5 foot bed. 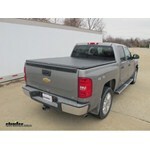 If you have a different tonneau cover, the part you referenced will not be compatible. 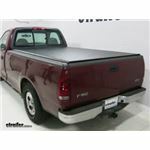 If you have a different cover, I would be happy to recommend a replacement if you would provide the model number of your existing tonneau cover.